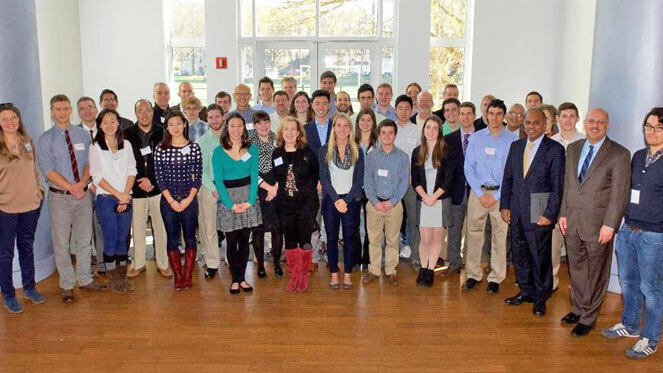 Carnegie Mellon University recently honored 29 exceptional student-athletes at its second annual Student-Athlete Academic Achievement Celebration. The event recognized the top juniors and seniors from CMU’s six undergraduate colleges, who boast an average GPA of 3.80. CMU President Subra Suresh praised the student-athletes for their academic success, highlighting the value of athletic involvement on campus. “This is well on its way to being a Carnegie Mellon tradition—to celebrate the accomplishments, both academic and athletic. There is no better place on the planet to do this than Carnegie Mellon,” Dr. Suresh remarked. Read more and watch a highlight video.